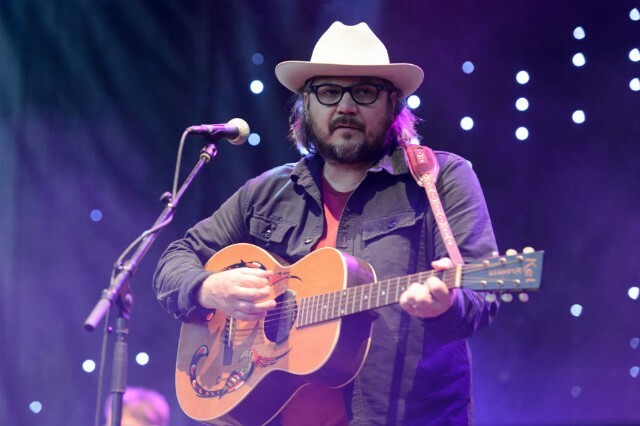 "It's got a cat on the cover"
As the headliners of Day One of the Pitchfork Music Festival in Chicago, Wilco gave fans something they couldn’t possibly have anticipated 48 hours earlier: A run through the entirety of their brand new album. Just a day after releasing the collection as a free download on their website, the hometown favorites played all 11 tracks of ninth LP Star Wars in order as their set opener. (“These are all new songs on our new album, Star Wars,” Billboard reports frontman Jeff Tweedy quipping mid-set. “It’s got a cat on the cover.”) Once the album was finished, the band continued on to play 55 minutes of older favorites.